I was able to take the Kelty Cosmic 20 on a multi night backpacking trip on the Black Mountain Crest Trail. Varying temps on each nigh allowed me to test out the temperature ratings above and below the Cosmic 20’s range. Click here to read my full update on the bag. 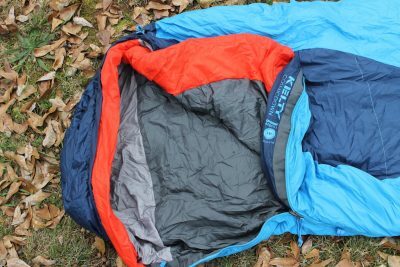 This entry was posted in Reviews and tagged 4alloutdoors.org, backpacking, blue ridge mountains, cosmic 20, down, kaleb r, Kelty, review, sleeping bag, trekking. Bookmark the permalink.